How often have you been to a wedding where there has been little to no vibe, leaving you feeling a little awkward and bored? I am currently in that phase of life where everyone seems to be getting married. So after the 10 or so weddings I have attended in the last 18 months; I have experienced first hand what makes or breaks a wedding. I am also a self appointed event planner/cake maker/decor stylist to all my friends and family members. I do seem to stick my nose into these things. I just love weddings! My husband has banned me several times. The good news is it has nothing to do with how much money was spent! I have attended weddings where hundreds of thousands of rands have been spent and the vibe has been quite stale and lacking emotion. Make sure you don’t make your guests wait around without some sort of activity. Great things that help pass the time: a vibey solo musician like Rudo Bass, lawn games, a caricaturist like Martinus van Tee and pleeaase make sure you keep them fed with yummy snacks and a signature cocktail. Keep your ceremony short and sweet. Do something a little different that surprises your guests. 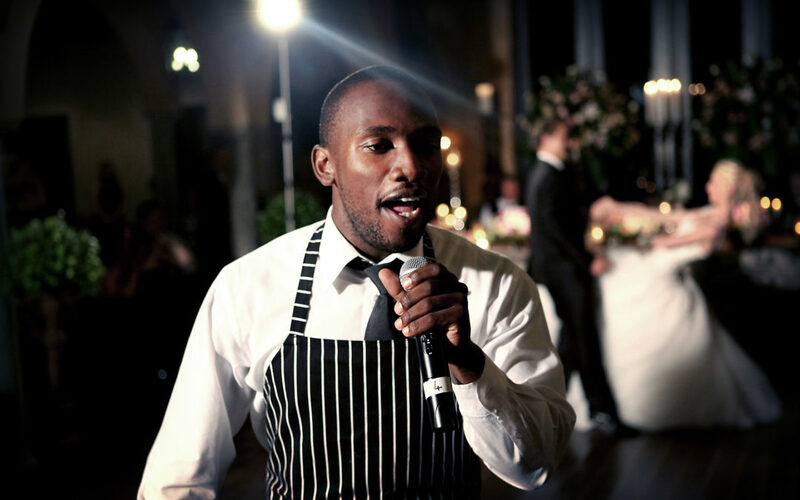 It may be something completely wow like our surprise singing waiters that are always a hit, Arias Anonymous, or turn your first dance into a flashmob with your bridal party. I cannot stress how important your DJ is to making your wedding a success. A DJ that cannot read the room or has less than adequate sound equipment can really ruin the vibe or not lend itself to starting a party. I highly recommend both DJ Francois and DJ Kevin Jubber – both pros and know exactly how to cater for any audience. Your MC is also key to making your wedding run smoothly. Choose someone who knows you both well, who has a sense of humour and is comfortable to speak in public. If you’re convinced you need a professional check out some of our talented MCs here – some of them can sing too! Find out before if your venue charges extra to keep the party going after midnight because if you follow all these tips you will definitely have guests you will need to ask to leave (or in my case I had to chase away!) as they are having too much fun.